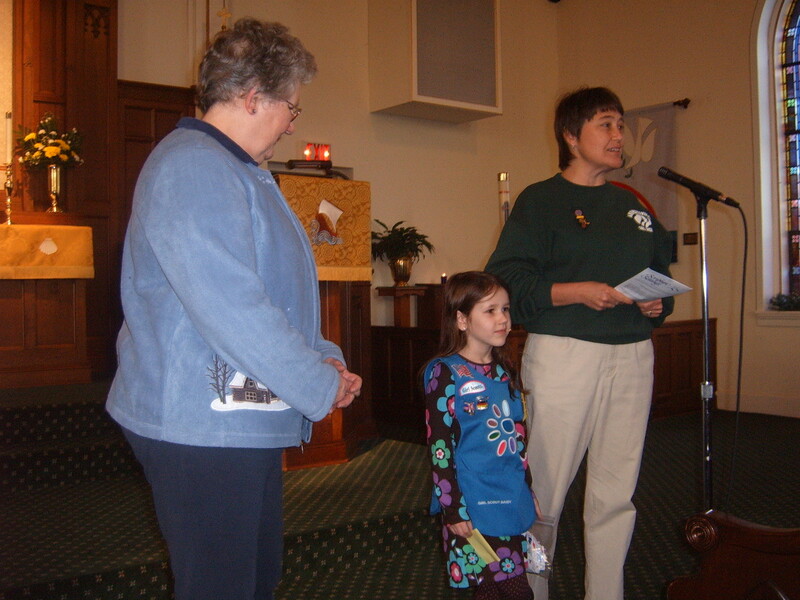 One of our little Girl Scouts, Isabelle, was recognized in worship on Sunday Jan 23. She has worked on a service project of collecting postage stamps, that are then donated to Homewood Home in Hanover. She is shown with Scout leader Kathy Fissel and Homewood Auxiliary Rep. Donna Miller. Way to go, Isabelle!